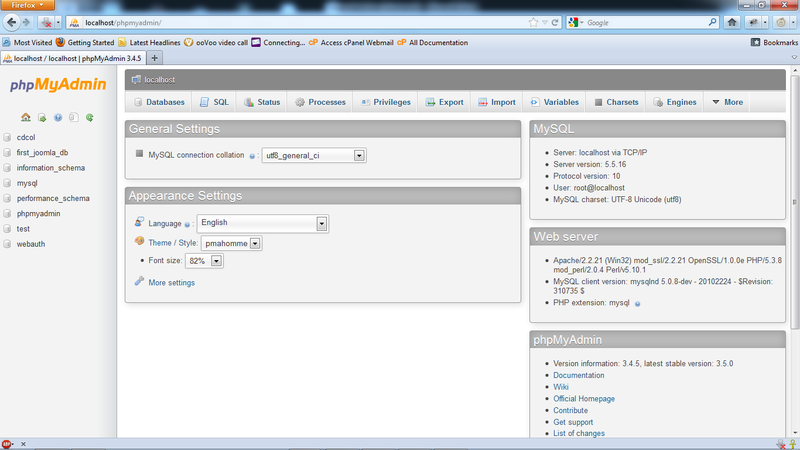 Start Apache and then MySql by clicking on the Start buttons just next to them. After Apache and MySql have been started, click on the admin button besides MySql’s Start button, this will take you to the PhpMyAdmin page for MySql. This takes you to the mysql prompt where you can run your queries. This will create a new database named “hibernatedb” which we’ll be using in our java code. 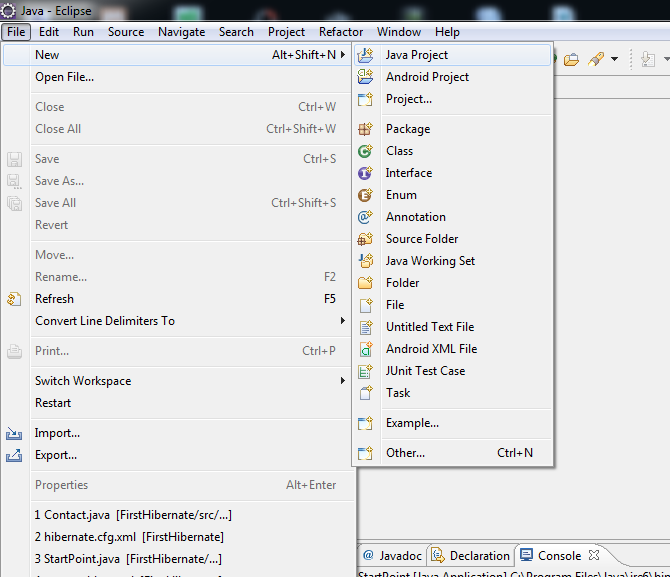 Before starting to create a project, you need to download the required jars. Download latest (version 4.1.2 at the time of this writing) hibernate jars from here and JDBC connector for MySQL from here. 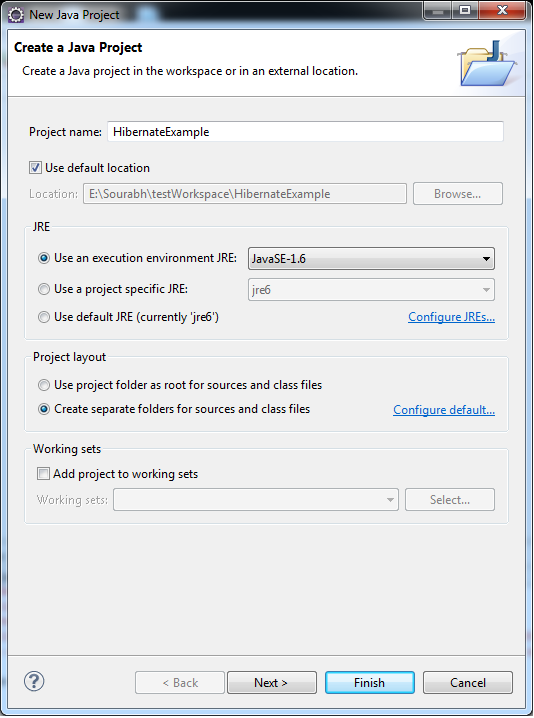 Now, let us create a simple project in Eclipse that will use Hibernate to create table, populate data and also fetch from it. Click on “Add External JARs” and add all the jars from “hibernate-release-4.1.2.Final\lib\required” (in the zip downloaded previously) and also the mysql connector jar. Make sure that the mysql-connector jar is added and its location is added in the CLASSPATH, or your project will throw a “Specified JDBC Driver com.mysql.jdbc.Driver class not found” error. Hibernate has to be configured to connect to a particular database. 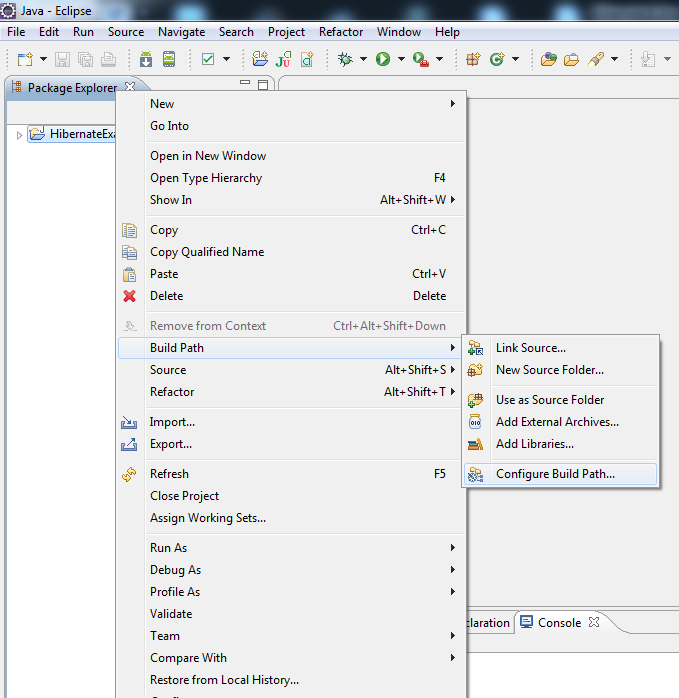 The database connections can be configured using an XML deployment descriptor (hibernate.cfg.xml) / properties file (hibernate.properties) or programmatically. We’ll use the XML deployment descriptor. 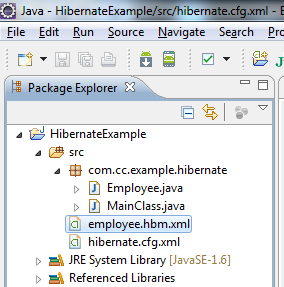 Add a new XML file in the “src” folder of your project and name it as “hibernate.cfg.xml”. Paste the following code in that file. <!DOCTYPE hibernate-configuration PUBLIC"-//Hibernate/Hibernate Configuration DTD//EN"
In the above configuration file, we use the “hibernated” database which was created above. MySQL runs on port 3306 by default and hence the connection url as “jdbc:mysql://localhost:3306/hibernatedb “. Also, by default there is no password for root user, it you have setup a password or are using another user, give the appropriate values for “connection.username” and “connection.password” properties. hibernate.dialect àThe classname of a Hibernate Dialect to be used. The SQL dialect allows Hibernate to generate SQL optimized statements for a particular relational database. hibernate.show_sql à Writes all SQL statements to console, if set to true. hibernate.cache.provider_class à Specifies the classname that provides CacheProvider interface. hibernate.cache.use_second_level_cache: Determines whether to use second level of cache. It accepts values true or false. The ORM tool maps a class to a table and hence we need to create a POJO class “Employee” which will correspond to our Employee table in the database. Hibernate needs mapping document for all objects that needs to be persisted to the database. The mapping document must be saved with .hbm.xml extension. 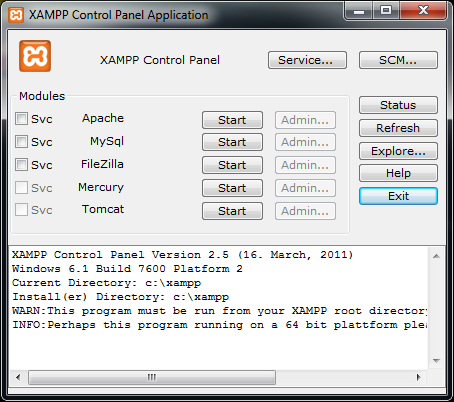 Create a new XML file in src folder and name it as “employee.hbm.xml”. Paste the following code in that file. <class> tag defines the mapping of a class to a table in a database. <id> tag defines the mapping of a property of a class to a primary key in a table. <generator> tag defines a java class which is used to generate a unique key for every instance of a persistent class. <property> tag defines the mapping of a property of a class to a column in a table. Finally, let’s write the main class to store and retrieve data. 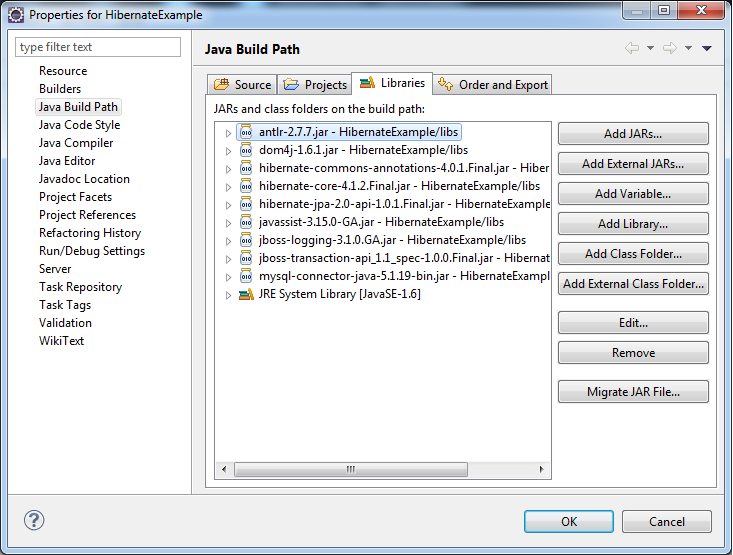 Create “MainClass” class in “com.cc.example.hibernate” and paste the following code. The method “Configuration().configure().buildSessionFactory()” is deprecated for use and hence we use a “ServiceRegistry” object to create session factory. Hibernate: select employee0_.ID as ID0_0_, employee0_.FIRSTNAME as FIRSTNAME0_0_, employee0_.LASTNAME as LASTNAME0_0_, employee0_.EMAIL as EMAIL0_0_ from EMPLOYEE employee0_ where employee0_.ID=? Hibernate: update EMPLOYEE set FIRSTNAME=?, LASTNAME=?, EMAIL=? where ID=? Note that, we have not created any table in the Database, still the code works. This is because, hibernate itself creates a table based on “employee.hbm.xml” if it is not present. User can also create a table using PhpMyAdmin console or mysql command prompt before executing the above code. This document explains an example with the simplest table structure, there is much more that can be explored and experimented in hibernate, as using composite keys, annotations, HQL, etc. There are a lot of resources available on the net which explains these concepts.